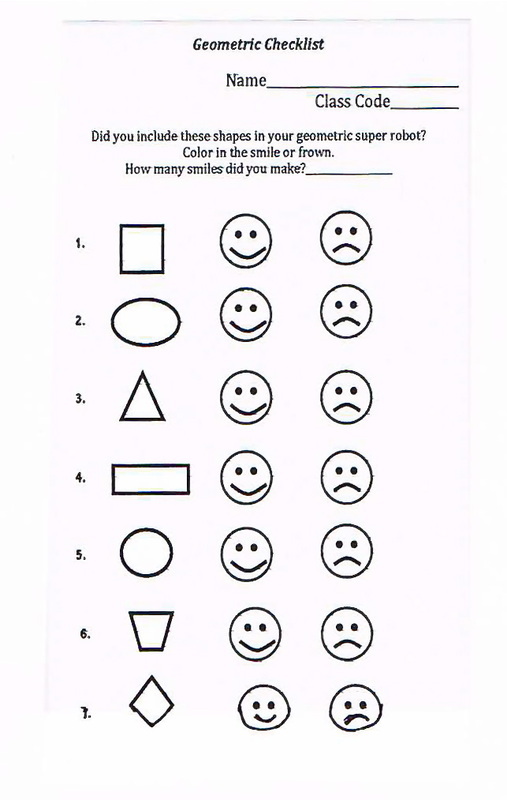 This checklist can be used to support students as they include the geometric shapes work in their art project. As an assessment strategy, students check off the geometric shapes used in their artwork. They color in the smile face when they have been right.